Home » color club » glitter » opi » pink » Girly Pink Overload! I applied 2 coats of OPI Hawaiian Orchid and 1 coat of the VNS exclusive Color Club glitter then topped it with Seche Vite. 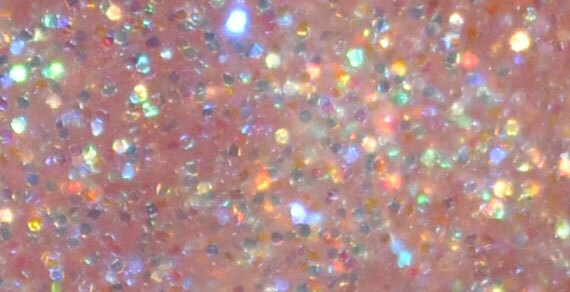 Close-up of the glitter polish. Once my nails dried completely (I waited 30 minutes) I applied these nail gems (thanks Mum! ♥♥). You can click to enlarge to see that they are sort of randomly arranged and crooked on purpose, the gems are actually all attached on a thin strip of sticky clear tape. I put on the stickers and applied a coat of the Nail Tek II treatment over everything. I like the Nail Tek because it is a little runny so it settles into the spaces between the gems well without bubbling.